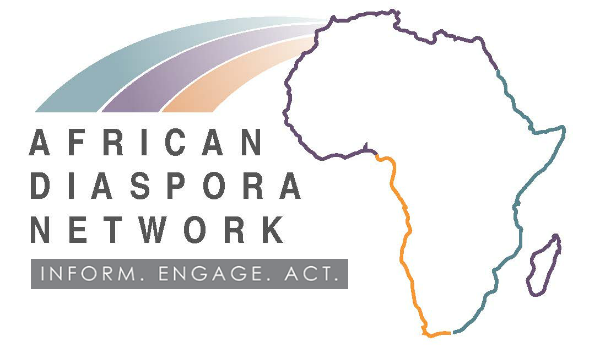 On September 24, the African Diaspora Network, in partnership with ALIMA USA, convened a dialogue on how Africa is helping to inform innovation and entrepreneurship in the areas of information technology, media, humanitarian medicine, venture capital, and philanthropy. Our speakers were able to show how each of these sectors were growing in Africa. Josh Ghaim shared about the many entrepreneurial successes including: Pedal Tap (Uganda), Kernel Fresh (Liberia), and Agateka (Burundi). Josh also shared Johnson and Johnson’s commitment to increasing the number of African Women in the Science and Innovation careers. For example, the Women in Innovation (WiIN) mentoring program plans to reach 1000 female college graduates in Rwanda alone. These are just few of the examples he shared. Pazion Cherinet, CEO, Orbit Health, Digitalization of Healthcare Systems in Africa said that Orbit came to be as result of his experience with hospital and doctor care waiting in Ethiopia. He observed that patients were waiting to be seen by a doctor for more than four hours. This was personal for Pazion as he was trying to help his mother get the necessary medical care in the fastest way possible. As a U.S-educated former Boeing Employee, he had the commitment and knowledge to create a platform that can help streamline the patient continuum-of-care process. Today, Orbit uses technology to provide access to easy patient appointment, patient record, and organized health practice in Ethiopia. His goal is to scale the program to other parts of Africa. Africa is innovating, although investment capital is small. We need to ensure that entrepreneurs have access to capital. The African Diaspora can be a force for GOOD. We need to engage with our friends of Africa to better the lives of people in Africa. For example, ALIMA is working with the Senegalese government to engage the Diaspora to invest in some of their innovative work. Investment in Human Capital Development. Johnson and Johnson’s commitment in entrepreneurship and women in innovation. 2019 Johnson and Johnson Africa Innovation Award – ADN will share the announcement soon. Be on the watch. Senegalese Diaspora – Contact ALIMA USA to see how you can invest in their innovation work. 2019 African Diaspora Investment Symposium – Jan 24-26 will take place at the Computer History Museum, Mountain View, California USA. Register and join us for incredible three days of learning, network, and building relationships.